Home schooling gives our children business management skills in the course of natural learning and we have the benefit of flexibility to explore these opportunities. Have you ever thought of a part-time job or business for your children? I'm sure they have. Have you considered that these small business ideas, born and run from your own home and from your children's minds and ideas involve real world business management skills? Our eldest son (and since that time, others have followed in his steps), has always been entrepreneurial and when he was about seven, he began his first business selling fudge. He learned to search for the cheapest price when buying the ingredients, make the chocolate fudge,clean up, package it and sell it. He earned a good sum of money this way and was able to buy his first bike. He then grew veggies in the backyard - researched when and what to plant, bought the seeds or seedlings, planted, weeded, watered and picked. He then sold his veggies to me and we all ate and enjoyed. After a while, he decided just to grow the veggies and provide them for the family without charge. After that, he mowed lawns. More business management skills needed. The next iniative was training birds. This job was well paid. 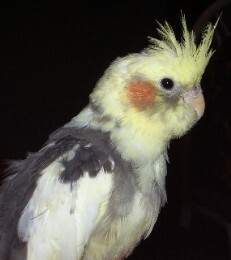 He was given a baby bird from a pet shop and he would train it, and give it back to the owner. The owner then had the possibility of selling this bird at a higher price. At one time, the three boys set up a stand at the park across the road during netball season. They cooked sausages and sold cold cans of drink. The business wasn't that great and they only did this once! Then he became involved in a pamphlet run and would take on heaps of extra rounds which were paid $20.00 more just because no-one wanted to do that round. He did this for many years before he took on a part-time job working at a supermarket. Now, he continues to work part-time at the Supermarket and has set up two businesses. Bit by bit, as he needs, he acquires business management skills to suit the unique business requirements. The businesses are still in the infancy stage, but he has been making profits. With the use of expensive software, he has become very apt in transferring video tapes into DVDs. He has done all our videos and we are extremely grateful to him for that. We've have noticed that our own videos were wearing out and it is good to know that our information is safely stored now on DVD. The second business he has set up with a friend is a Computer Business. He buys computer components and makes computers according to certain specifications determined by the need of the customer and what the computer will be used for. Working and learning from home this web building course (a complete course which is now run at Universities and TAFE institutions) enabled Nathanael, a 16 year old homeschooler to build an income and a skill set which has set him up for his own website marketing business that he runs today. Now, I am not listing all this to just tell of Nathanael's achievements, but to show a natural progression of any child who thinks of a contribution they can make to their family and society in which they live. 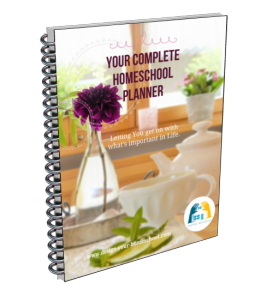 Home schooling gives our children more flexibility to explore these opportunities. Read about the benefits of building a website. All of these initiatives are "business". Al of these initiatives develop business management skills. All of these initiatives are learning experiences. All of these initiatives are building knowledge on knowledge. All of these initiatives teach responsibility. My seven year old likes to make cards and sells them to the family when we need cards. My ten year old bakes muffins to sell in order to earn some money for a mission. My thirteen year old does a pamphlet run. He includes his younger siblings in the job by giving them the folding part of the job and delivering it himself. He pays them for each pamphlet they fold. My sixteen year old also has a pamphlet run, which he has had for many years. Every age has some business idea which is suitable for their level of skills, interest and motivation. I wouldn't ask my seven year old to create a website, even though she does have her own mini-site! Did you know that a Harris Poll showed that 72% of households are thinking about starting a work-from-home business. What an opportunity for our high school home schooling teens! For example, Computer-Hardware-Explained.com is a site which has been built by our teenage son, and it still generates an income for him, although he is working hard on his own online marketing business. Being an entrepreneur is about seeing an opportunity and pursuing it - building the skill set you need to do it, even if the resources are not available to you right then. Homeschooling is about studying the personality, gifts, skills, desires and spiritual motivation of your children and encouraging them in their uniqueness. 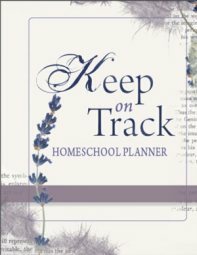 How are you encouraging your homeschool teen?